(L-R) are Clayton Shively, sales of Berry Tractor; Ted Alexander and Brian Alexander, both of Alexander Ranch; and Jesse Coleman, PSSR of Berry Tractor. Berry Tractor spent the last day of summer 2017 hosting lunch for the Red Hills Cedar Rodeo west of Medicine Lodge in rural Barber County, Kan. 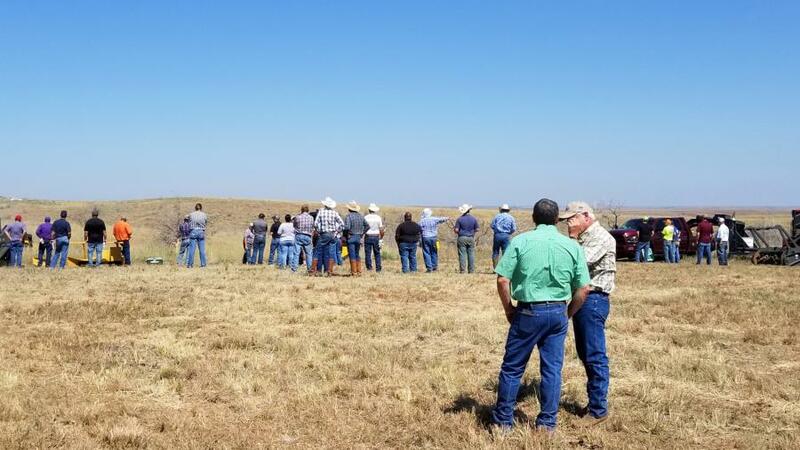 The crowd of approximately 75 attendees, which included dealer representatives, end users and land owners, enjoyed grilled burgers and hot dogs while talking about land management equipment and best practices. 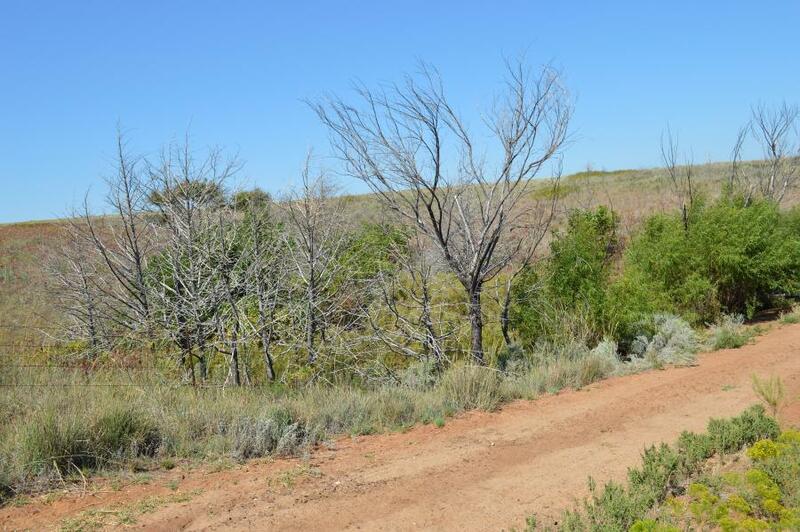 The event, coordinated by Ted and Brian Alexander of Alexander Ranch, was intended to bring awareness to land owners about the benefits of red cedar removal and prescribed burning. 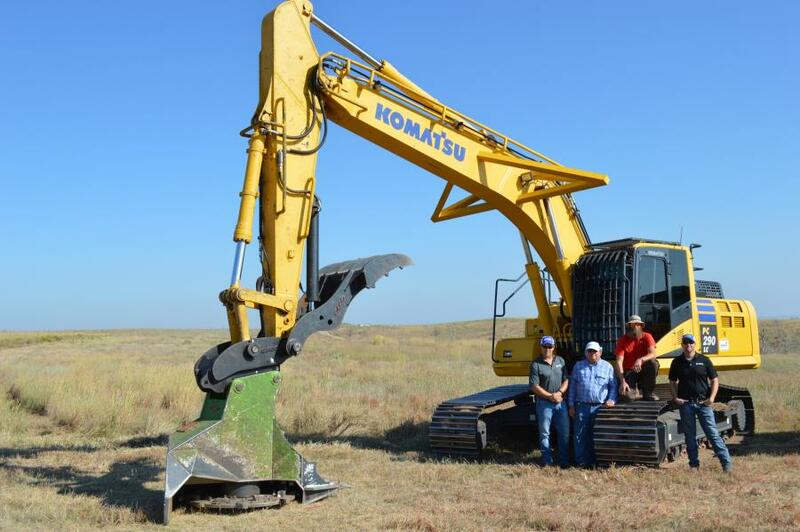 Brian Alexander, known as the Red Hills Rancher, has done some great things to his 7000-plus acres over the last year with the help of his Komatsu PC290LC-11, which is equipped with a RDM52EX mulcher attachment by Advanced Forest Equipment. 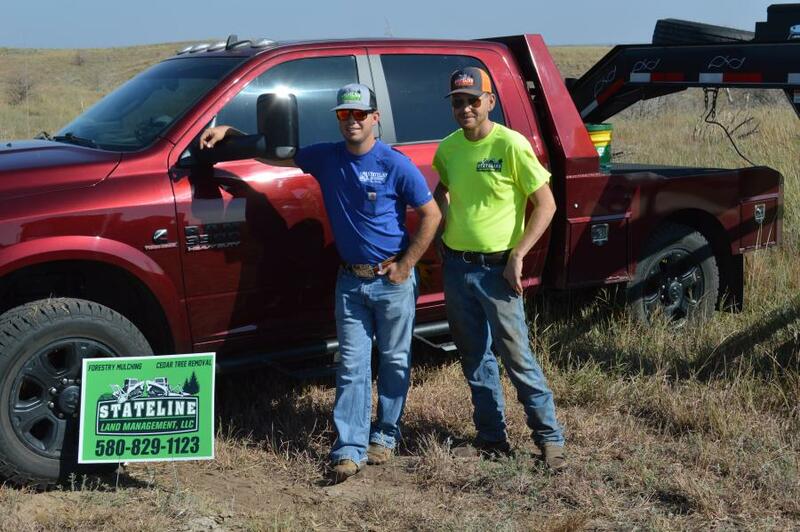 Alexander began his quest to remove both dead and invasive live Eastern Red Cedar trees from his land following the devastating Anderson Creek fire of 2016, which burned almost 400,000 acres in Kansas and Oklahoma. It's estimated that the Eastern Red Cedar consumes 40 gallons of ground water per day, and since beginning his removal of the species, Alexander has gotten creeks to begin flowing once again on his land. That water flow is vital to the cattle grazing operation at Alexander Ranch. Something else that is vital to the operation is the fuel savings that Alexander enjoys from his PC290LC-11, which he said is substantial and does not affect the performance of the mulcher attachment.